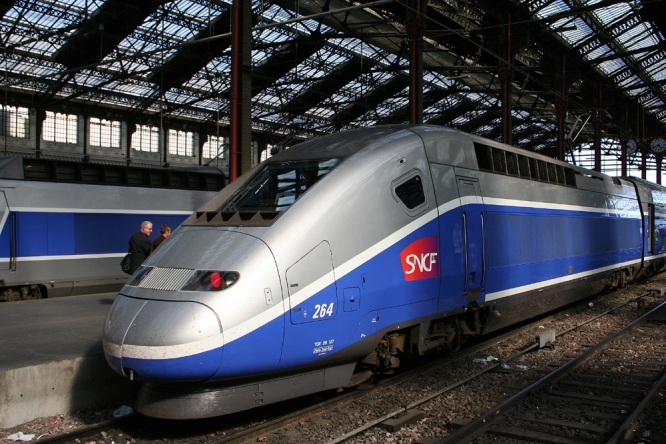 National railway company SNCF is renaming its TGV high speed train service ‘inOui’. The name, pronounced like the English word 'in' plus 'oui', sounds like the French word inouï, literally meaning 'unheard of', in the sense of 'extraordinary'. The SNCF will have introduced the inOui brand across all its TGV services by 2020, beginning with Paris-Bordeaux trains on July 2. One reason for the rebrand is to give a name to the original TGV service. TGV simply stands for Train à Grande Vitesse or high speed train, which will still be used to refer to the actual trains. Regular users of the French railway will know Ouigo, the low-cost TGV; or the multi-line iDTGV or the Thalys (Paris-Brussels). All of these services have specific tariffs and destinations but the original TGV service had no specific name, until now. The aim is to have trains to cover different markets. For example Ouigo will provide low-cost travel, while the inOui will be aimed at a more premium market segment, with more comfort and services - a programme of new investment and improvements is promised so that inOui may live up to its name. This new name also allows the SNCF to unite its branding around the word ‘oui’: Ouibus, Ouicar, Ouigo... and from September OuiPoint SNCF will replace Voyage SNCF.com.